A killer who stamped on and strangled his girlfriend in Edinburgh because she called him "honey bunny" has been jailed for at least 17 years. 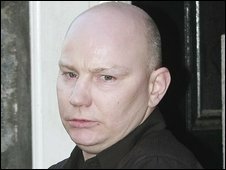 Douglas Stockdale attacked girlfriend Alison Mack after she used the term, telling her that only his ex-girlfriend was allowed to call him by that name. At the High Court in Aberdeen, he was sentenced to life imprisonment and ordered to serve a minimum of 17 years. Ms Mack, 51, was left to die in a Lochend flat after the 8 March attack. The 38-year-old was convicted of strangling and stamping on the mother-of-two's head, as well as the attempted murders of three other former partners. He said the sentence was too short, adding: "He took my daughter's life and his life deserves to be forfeited." The attack on Ms Mack happened in Jennifer Thomson's Edinburgh flat last year. 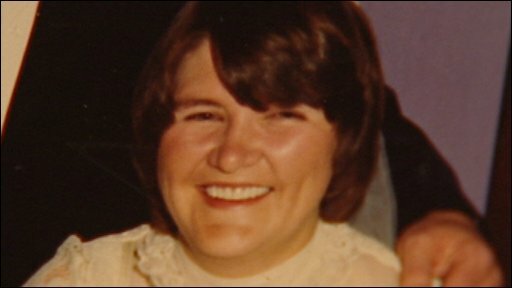 Miss Thomson, 53, who was also assaulted by Stockdale that night, found her friend's body under a pile of coats the next morning with a cloth covering her face. Stockdale protested his innocence from the dock, shouting: "I'm innocent. It's been a stitch up from the start" before his lawyer told him to calm down. Passing sentence, Lord Bracadale said: "You are found guilty of the murder of Alison Mack and of the attempted murder of Afka Ray, Tracy Grady and Jennifer Thomson. "You are also found guilty of the assault of Alison Mack and of an assault on Jennifer Thomson. "Each of these women were vulnerable women with whom you became involved. "Alison Mack seems to have shown you affection over a short time period and for no apparent reason, other than an appalling loss of temper, you attacked her in a vicious manner. "You left her dead and dying in the middle of the hallway in Miss Thomson's flat without attempting to get any help for her. "Each of the attempted murder charges in itself is a very serious life-threatening situation for the women involved." Lord Bracadale sentenced Stockdale to 10 years in prison for the attempted murders of Ms Ray, Ms Grady and Ms Thomson, together with the assaults on Ms Mack and Ms Thomson. He also imposed a life sentence for the murder of Ms Mack. Stockdale must serve 17 years before he can be considered for parole.